®-Superpad P: Thanks to the patented structure and the overall perforation the sanding dust that is produced is removed by suction permanently and across the entire surface, sanding is almost dust-free. 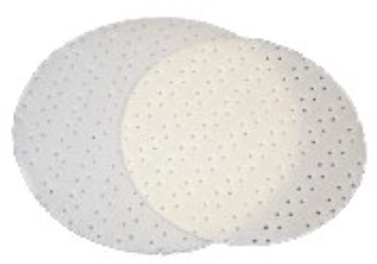 With its perforations the clogging of the pad is prevented. This keeps contact and removal to the optimum. ®-Superpad P fits on all manual sanders with or without suction removal. Storage costs for the pads are reduced to a minimum. Abrafilm® is excellent for the sanding of hard lacquers, stone and screed thanks to its extremely hard zirconium or ceramic grit, allow fantastic surface finishes to be achieved without grit break-out and ring formation.The ®-Abrafilm offers excellent cutting performances and has an extremely durable and tearproof film carrier. The multi-hole perforation of the abrasive in combination with the multilayer structure of the Velcro-type system guarantees the exact alignment of the abrasive grain. This leads to continuous dust extraction over the entire surface, optimum sanding results and a much higher service life. 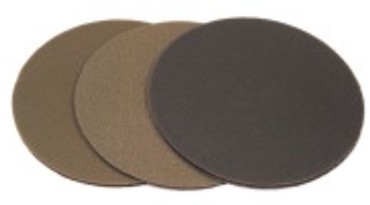 ®-Superfinishing-Pad SG is a high-performance abrasive with a 6 times higher performance at the final polishing stage compared to conventional abrasives. Article no. Article no. Article no. Article no. 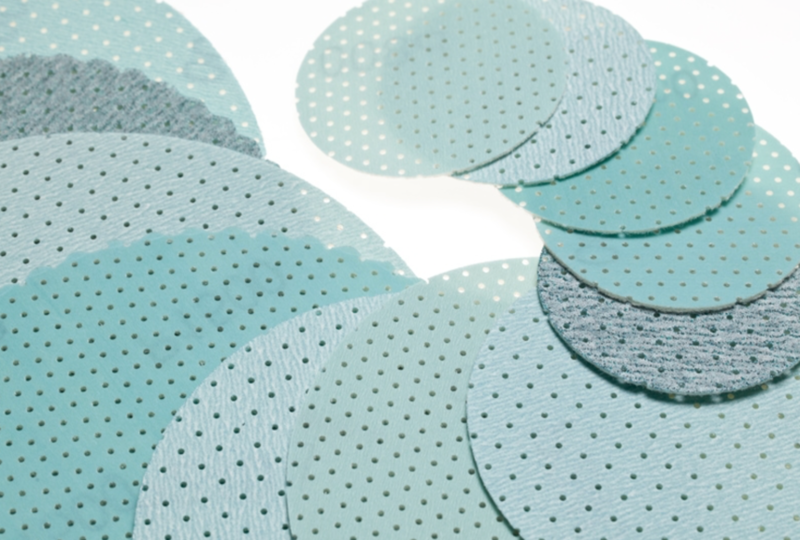 The new ®-Superfinishing-Pad SG2 differs from the well-known Superfinishing-Pad SG: the abrasive grains are bonded to a dense cloth, not to a nylon fiber mesh. 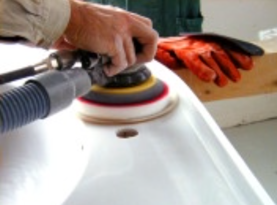 The ®-Superfinishing-Pad SG2 is more suitable for the primer coat sanding, for removing paint sagging, dust inclusions, for the smoothing of orange-peel, for spot repair, for the blending of transitions, for vehicle body repair, for the sanding of stainless steel and non-ferrous metals. 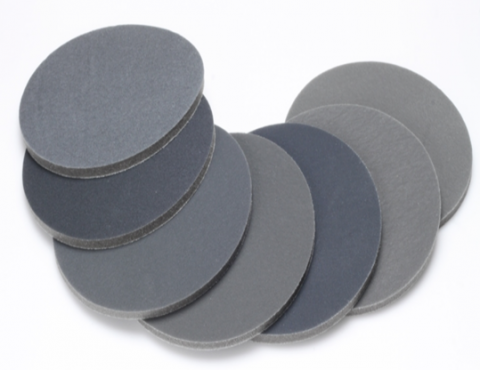 ®-Superfinishing-Pad SG2 is applicable for wet and dry sanding. Due to its open structure the ®-Superfinishing-Pad SG2 is always recommended for applications where the sanding develops a lot of dust. The dust will be removed continuously through the whole surface of the disc. Interface-Pad. Applied in conjunction with ®-Superfinishing-Pad SG2, to even different sanding pressures to achieve an optimal sanding result. The ®-Superfinishing-Pad SG3 offers an enormous savings potential compared to conventional processing with filt or paste in the fields of high-gloss lacquered surfaces, GFK surfaces, metals or solid surface minerals. The adaptability is significantly higher and the danger of sanding through corrugations and edges is considerably reduced. The pads adapt particularly well to roundings and curved surfaces. 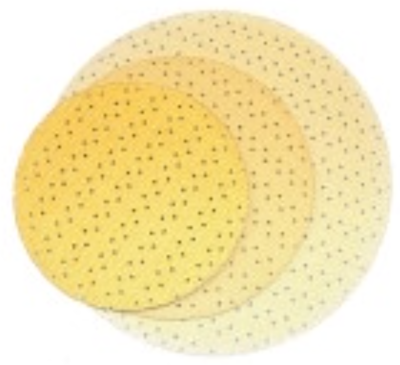 The pads are suitable either for dry or wet sanding. 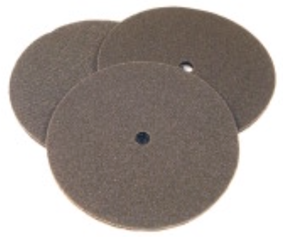 The ®-dust disc is suitable for the removal of residual dust from sanded surfaces. 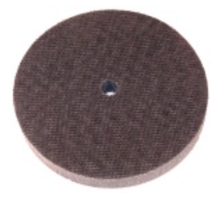 Foam adapter for chamfered edges ø 160 mm, in combination with Superpad P and Superfinishing-Pad SG, ø 200 mm. It protrudes over the edge of the orbital sander thanks to its diameter of 160mm. 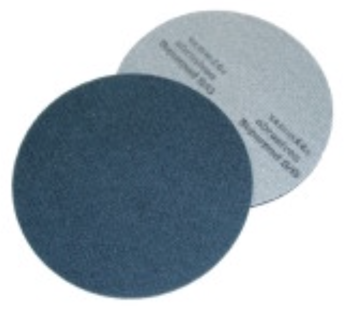 Used together with our 200mm-diameter ®-sanding discs, it is especially suitable for sanding the chamfered edges of solid surface material. And the foam adapter's combi-perforation enables it to fit a wide range of popular backing plates by well-known machine manufacturers.